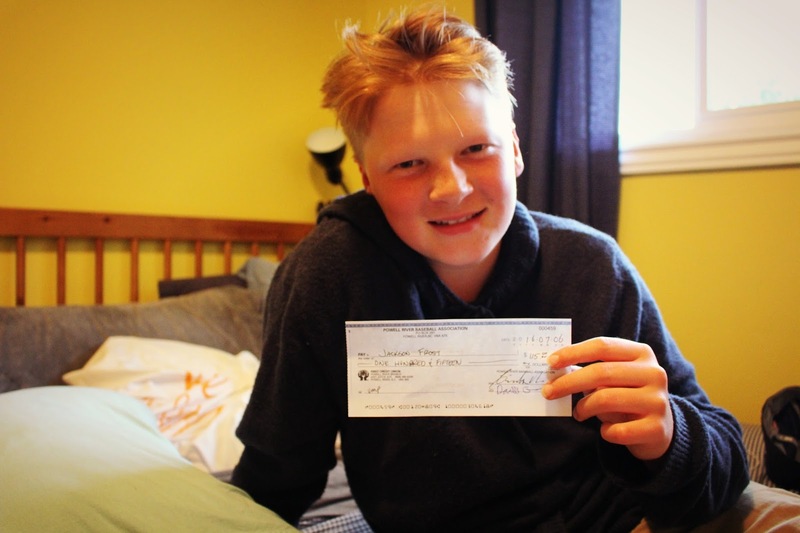 Jackson: Showing off his first ever pay "cheque". He's done a bit of babysitting but this is the first time he's logged hours and been paid at the end of the month for something. He enjoyed umping the younger kids games and can't wait to do it again next year. Lily: Lots of reading, crafting and watching of Once Upon a Time. She is LOVING summer break so far.